My article on extraterritoriality and business accountability for human rights violations, which was published in November 2012 in the online version of the Journal of Business Ethics (see blog post on this), was selected for publication in the latest completed journal issue. The exact references are: “Enhancing Corporate Accountability for Human Rights Violations: Is Extraterritoriality the Magic Potion?”, Journal of Business Ethics, October 2013, Volume 117, Issue 3, pp. 493-511. The United Nations Guiding Principles on Business and Human Rights, resulting from the work of John Ruggie and his team, largely depend on state action and corporate good will for their implementation. One increasingly popular way for states to prevent and redress violations of human rights committed by companies outside their country of registration is to adopt measures with extraterritorial implications, some of which are presented in the article, or to assert direct extraterritorial jurisdiction in specific instances. Some United Nations human rights bodies and non-governmental organisations are clearly supporting the use of extraterritoriality and have argued that international human rights law places an obligation on states to embrace extraterritoriality so as to better control the activities of companies registered on their territories. In this context, the article aims to determine whether extraterritoriality is the magic potion that will help enhance corporate accountability for human rights violations committed overseas. The article explores whether such obligation exists and, beyond this, whether extraterritoriality should be further encouraged. 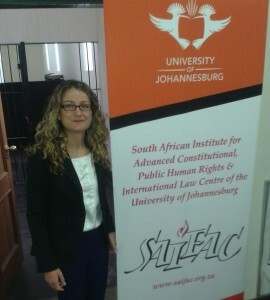 Today I gave a talk at the South African Institute for Advanced Constitutional, Public, Human Rights and International Law (SAIFAC) of the University of Johannesburg on “Multinational Corporations and the Apartheid Regime.” The Institute is located on Constitution Hill, in the Old Fort where Nelson Mandela was briefly imprisoned in the 1950s. What a fantastic place to talk about human rights! We had a great discussion with the participants and I think it was the perfect way to end my short stay in South Africa. Sadly, I am leaving tomorrow. SAIFAC is doing work in the area of business and human rights and the Director of the Institute, Prof. David Bilchitz, has co-edited a book on Human Rights Obligations of Business which came out this year and was published by Cambridge University Press. I look forward to engaging more with the Institute in the future. Should Multinational Corporations be Held Liable for Having Done Business with the Apartheid Regime? 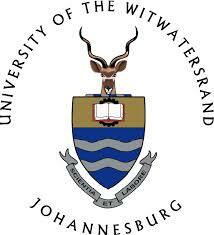 For the next two weeks I am based at the University of the Witwatersrand in Johannesburg as a visiting researcher. South Africa and its extraordinary transformation from Apartheid to democracy is of course of great interest to a human rights scholar. I spent the week end immersing myself into the country’s troubled past and visited the highly recommended Apartheid Museum, as well as the famous township of Soweto. On Wednesday 16 October I will deliver a lecture entitled “Should Multinational Corporations be Held Liable for Having Done Business with the Apartheid Regime?” The question is undoubtedly controversial and has been specifically looked at in two separate and prestigious forums: the South African Truth and Reconciliation Commission (TRC) and US Federal Courts. I wrote about the proceedings before US Courts in a previous blog post. Business was central to the economy that sustained the South African state during the apartheid years. Certain businesses, especially the mining industry, were involved in helping to design and implement apartheid policies. Other businesses benefited from co-operating with the security structures of the former state. Most businesses benefited from operating in a racially structured context. [TRC Report, Vol IV, Chapter 2, para. 161]. What is particularly interesting in the South African example is that room was made for the question of liability to be approached from both moral and legal angles, arguably allowing for a better and perhaps more balanced understanding of the issues. 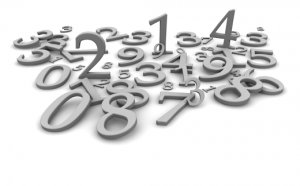 Developing Business and Human Rights Indicators – Is It a Good Idea? Today I am spending the day at the beautiful Cumberland Lodge in Windsor’s Great Park, where an expert meeting on business and human rights indicators is being held. The meeting is convened by an Organizing Committee of four PhD students, all working in the business and human rights field. They, and a research team of junior and senior experts, drafted an initial working document on business and human rights indicators which forms the basis of our discussions for the day. I contributed to the process by providing some comments on an earlier draft a few weeks ago. The very idea that one can translate human rights abuses into numbers, which can then be compared, is controversial and there are numerous challenges associated with the development of meaningful indicators. Among many other difficulties, there’s fear that the human dimension can be lost if violations are expressed using numbers, as opposed to narratives. 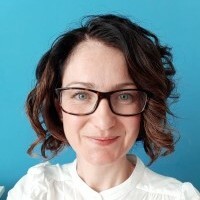 There’s also fear that companies would satisfy themselves with simply being better than their competitors, as opposed to strive for a 100% human rights compliant record. This last point is particularly contentious as the basic premise of human rights is that each violation (and each victim) matters. Thus for human rights defenders the fact that despite some violations a company could still get a relatively good score is hard to swallow. Another challenge has to do with who would make the evaluation and would come up with eventual figures: NGOs, “independent” experts, businesses themselves, consultants, a multi stakeholder group, etc. ? Despite these challenges I am keen on the idea of developing indicators. I think indicators could be a useful complement to other ways to measure corporate responsibility to respect human rights, such as drafting NGO reports. The reality is that some business and human rights indicators already exist and are being used, for example by institutional investors. Therefore, the question is not whether it can be done, but how to do it as well as possible. In a nutshell, the argument really is that we need to occupy that space, otherwise others will. Also, we don’t need a comprehensive framework that would measure compliance with all rights by all companies. In fact this is probably impossible to do, as today’s discussions have illustrated. Rather my view is that we need to initiate the process, perhaps by focusing on just a few rights in selected sectors, for example the right to health in the mining sector.